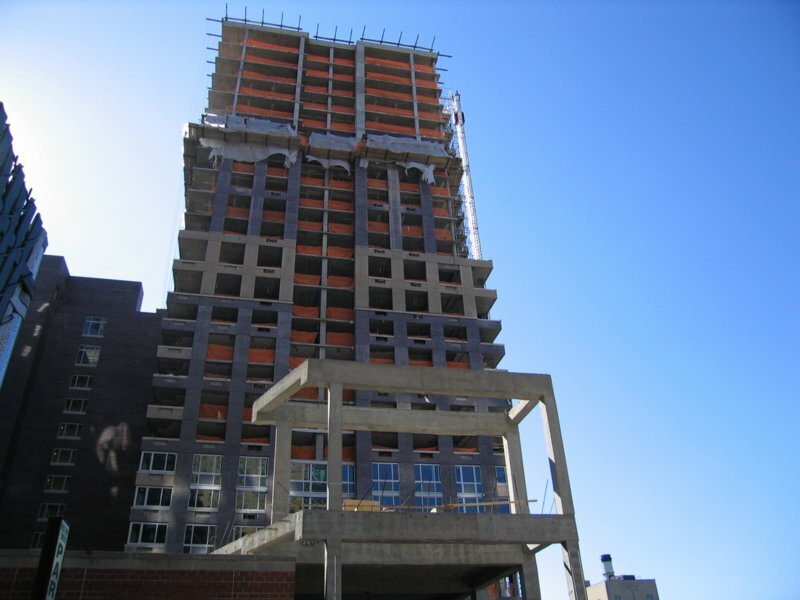 Atlantic Development Group is building a 13-story subsidized senior citizen facility with an entrance on West 61st Street. Residents, 50 percent of whom will be from the area, will be chosen by lottery. 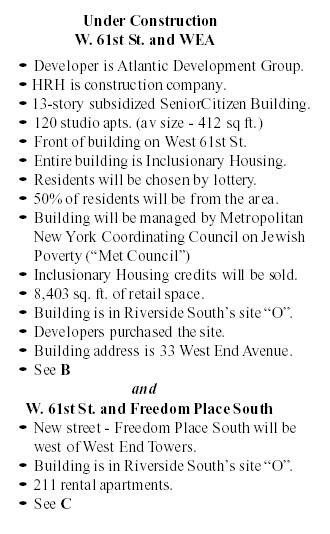 The building is entirely inclusionary housing and will be managed by the Metropolitan New York Coordinating Council on Jewish Poverty. The project includes 8,400 square feet of retail space. 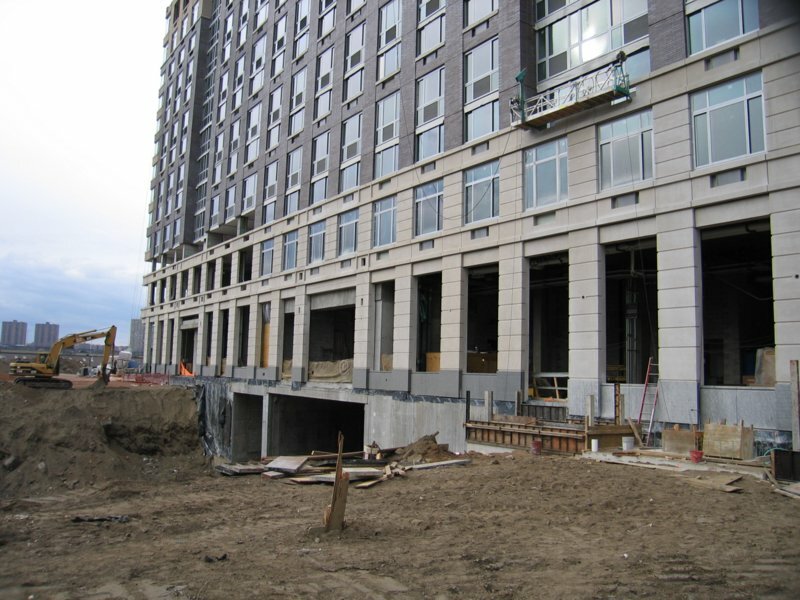 A 211-unit rental building is under construction on a newly created street at Riverside South, west of West End Towers. Last edited by krulltime; February 20th, 2006 at 08:21 PM. Last edited by krulltime; April 15th, 2007 at 10:37 PM. I better create a new thread for this one. So please discuss here. I think it is ok. But I would not call it horrible. It compliments what has already been built on West End Avenue on the north. Although I am glad is not too tall. I think its fine.......safe, but attractive - if a little bulky in the middle. Look - its better to encourage building over here, which was a no-man's land of parking and garages and save whats left in midtown (56th street, Automat, churches). Its important for the City to grow - I am not antidevelopment at all - It should just be done smart - The whole far west side can be redeveloped without destroying anything of signifigance (FYI - i live there). Lets preserve the few survivors that are threatened now and push for development here. Are you listening Mr. Tierney ? It fits in with the crap in the area. Very true, but if I'm correct, the people in the area were fighting against development as well. So what can you do? No, no, no. That's the wrong way of thinking. Just because there were crap in that area doesn't mean we should add more crap. We want to improve and make things better. Here we have a clean slate, we should have forward thinking and make this a terrific and lively neighborhood so that 100 years from now, people will love it so much, they'll fight once again to save it from developers that at this point aren't even born yet. 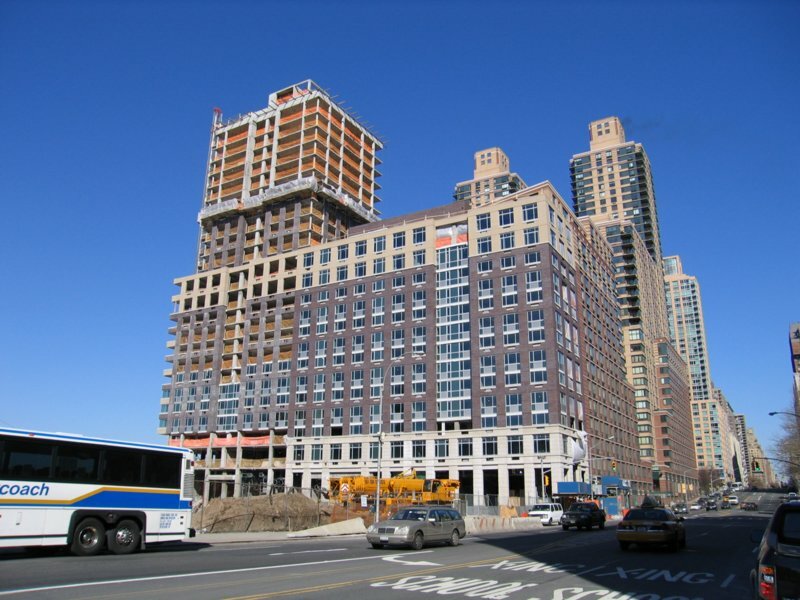 ...its better to encourage building over here, which was a no-man's land of parking and garages and save whats left in midtown (56th street, Automat, churches). Its important for the City to grow - I am not antidevelopment at all - It should just be done smart - The whole far west side can be redeveloped without destroying anything of signifigance (FYI - i live there). Lets preserve the few survivors that are threatened now and push for development here. 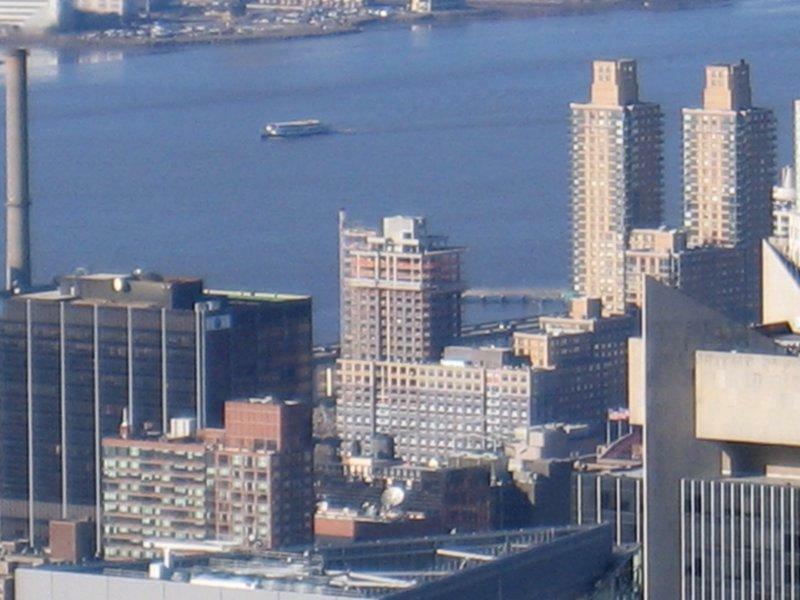 On balance, these are not great times for New York's architectural distinctiveness. 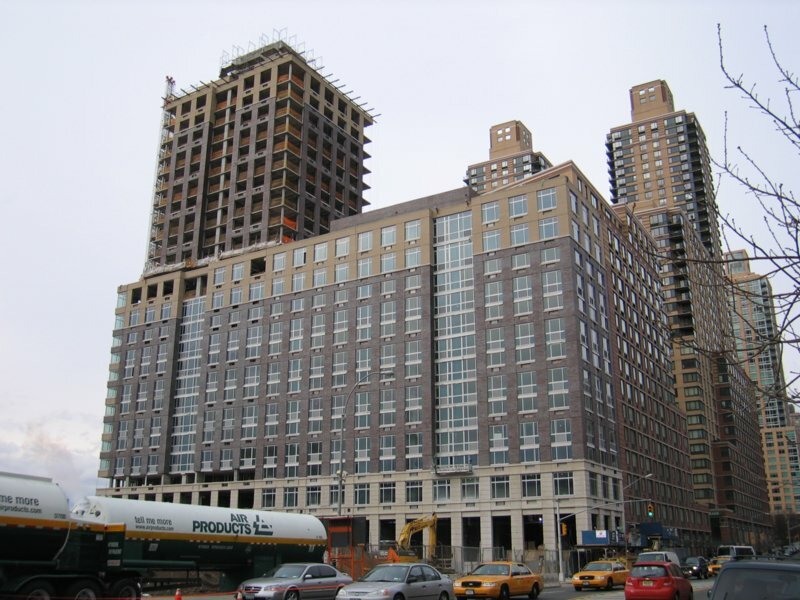 In recent months, we may have gained Hearst, a new Columbus Circle, Gwathmey's Astor Place building and a start on NY Times and Bank of America, but we've lost the East River power plant, the 57th Street Automat, 2 Columbus Circle and maybe those great beaux-arts townhouses. Treading water, or maybe worse? If you think about it, the buildings we're losing are diverse, the stuff we're gaining is less so. Last edited by krulltime; April 15th, 2007 at 10:38 PM. Behind this building, on the railroad side, there is some odd construction, including a cylindrical structure that seems to be right on top of the railroad cover. 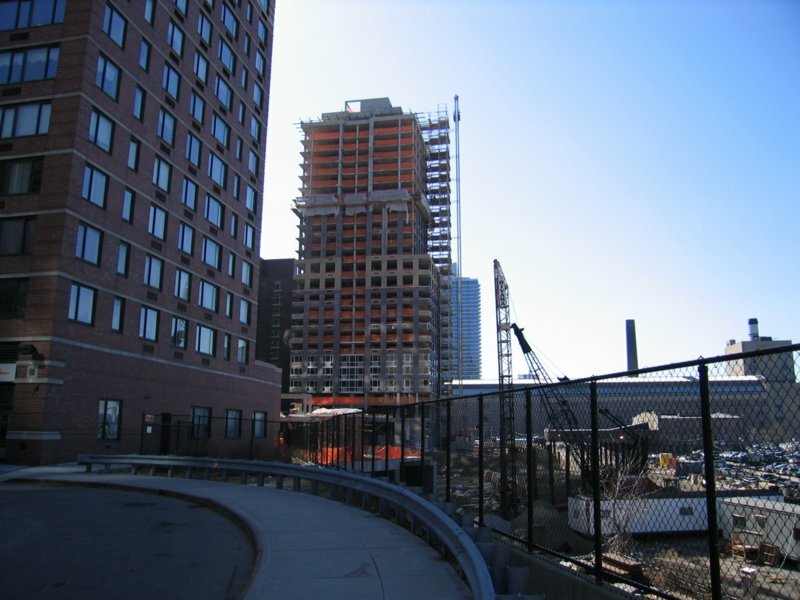 It's probably visible from the West side highway, although saw it viewing it from the end of W. 64th St. Anyone have any ideas? Is it a recreation area for the old-folks home?